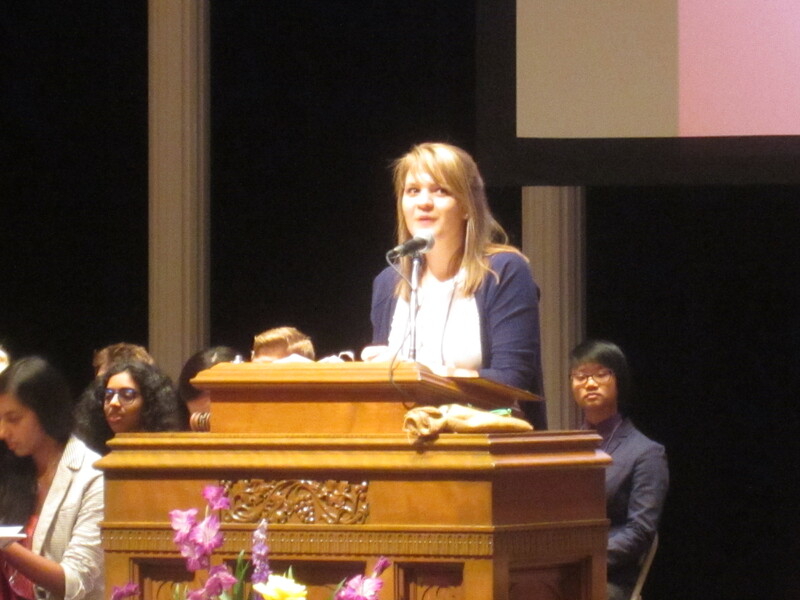 OJCL President Lindsey Dierig gave the Opening Remarks at GA 3. 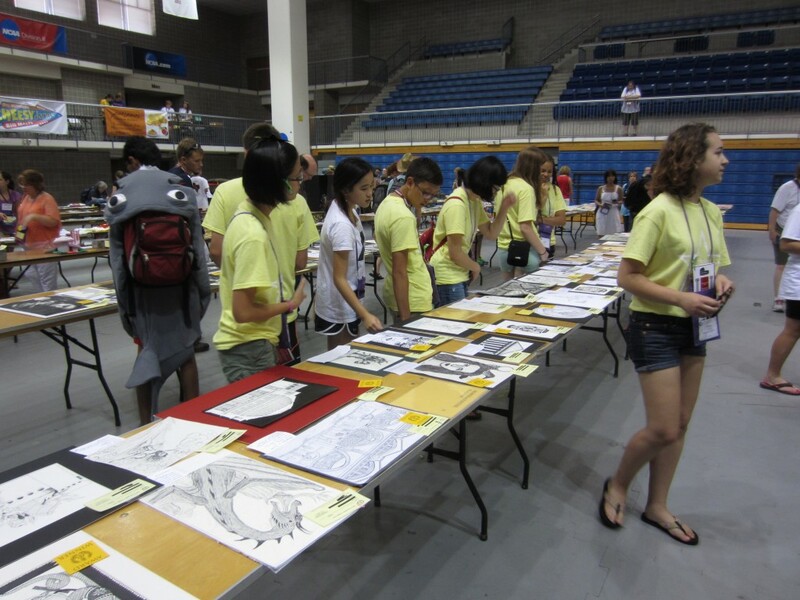 OH students check out the amazing stuff at the Graphic Arts viewing. 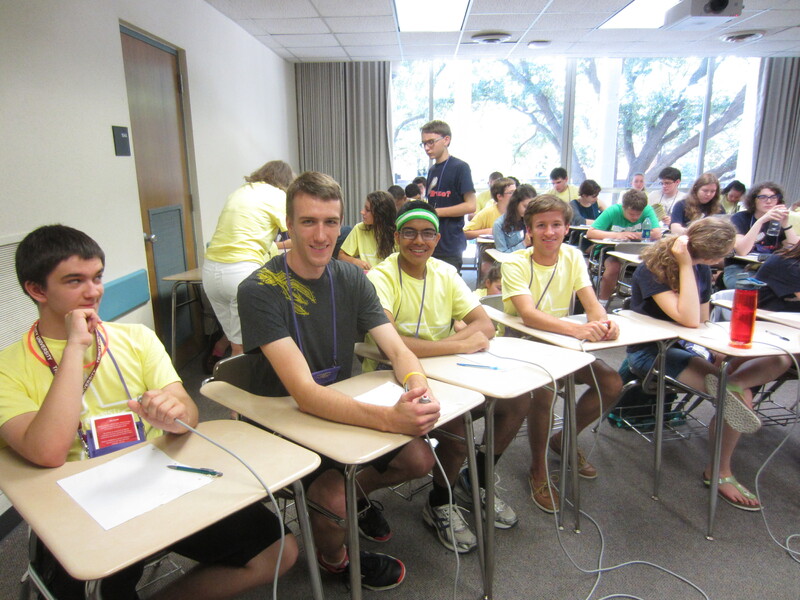 I have been the Certamen Coach for the past 16 years, so I am at all the rounds for all the levels. It was about 1 hour for orientation, 2 hours for Round 1 yesterday, and 4 hours for Rounds 2 and 3 today. The players study for much of June for a chance to answer the 60 preliminary questions, the 20 Semi-Finals questions, and the coveted 20 Finals questions in front of a big audience. I am always amazed at the time and effort that students expend – during the summer no less! – to learn more about the Latin language and classical civilization. 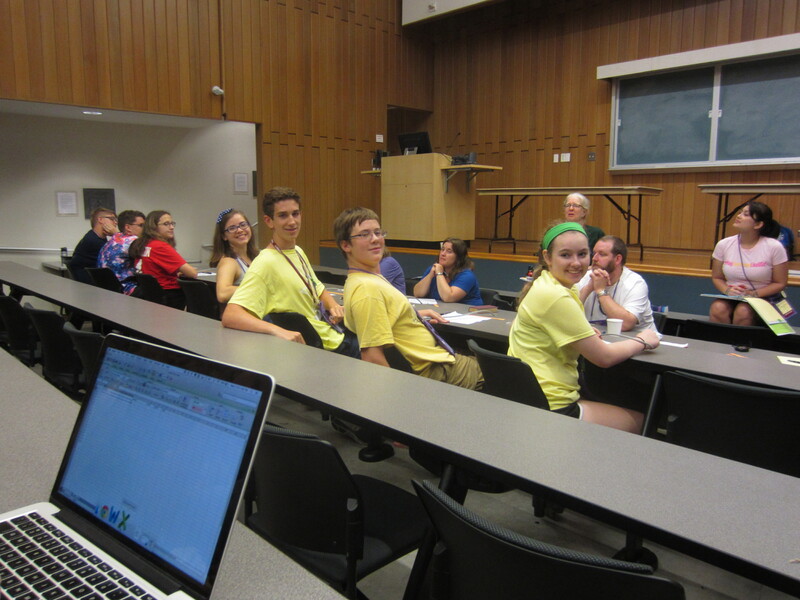 The OH group waits to enter the auditorium for a certamen match. Novice: Similar to Round 1 (vs. MA), OH faced a tough team in both Round 2 (vs. TX) and Round 3 (vs. VA). Julia answered questions in all 3 categories – language, myth, and history/culture. Her brother Tullus was particularly pleased with her correct answers about the location of the Temple of Jupiter (on the Capitoline Hill) and about the political union in the 50’s BC (the 1st Triumvirate). Both Owen and John helped on the bonus questions. Although they did not make the Semis, all 3 enjoyed the experience and learned more about the classical world. Nice playing! 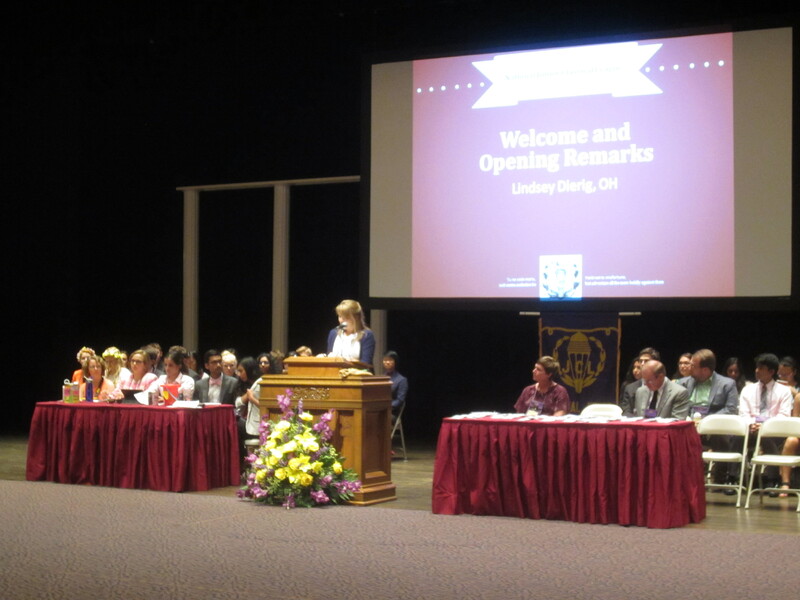 OJCL President Lindsey Dierig gave the Opening Remarks to the 1,600 people in attendance. I was busy trying to get a good picture, but I know that she mentioned the importance of macaroni-n-cheese when she was young and somehow tied that into the importance of the classics. I guess she has a point: both are ubiquitous and quite tasty. Lindsey on the importance of nourishing one’s mind (classics) and body (mac-a-chee): mens sana in corpore sano! Former Editor and now Secretary Dustin Argo (Summit) won 4th place in State Publications for his issues of the Ohio Torch. McAuley earned 1st place in Traditional Scrapbook and 2nd in Community Service. 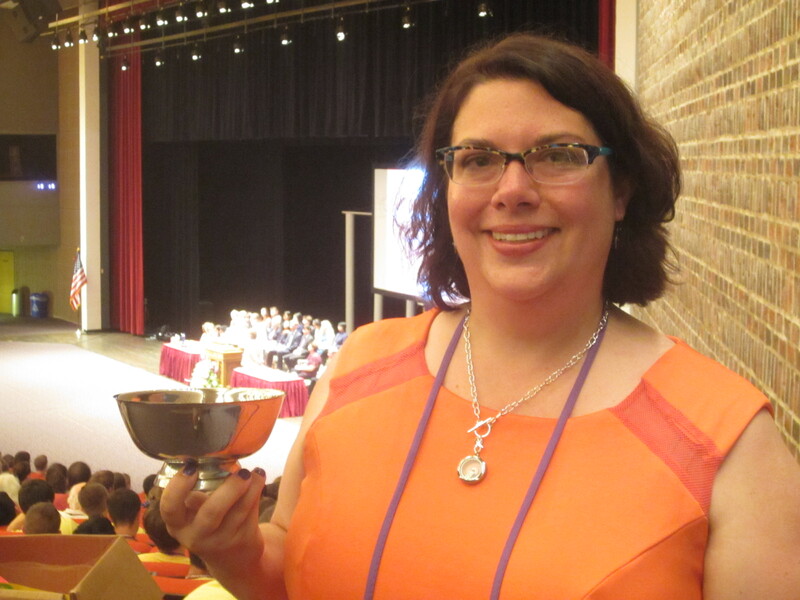 State Officer Julia Cardinal (McAuley) was a big part of her school’s high finish in School Community Service – because she won 1st place in Individual Community Service by logging more hours than any other NJCL student! 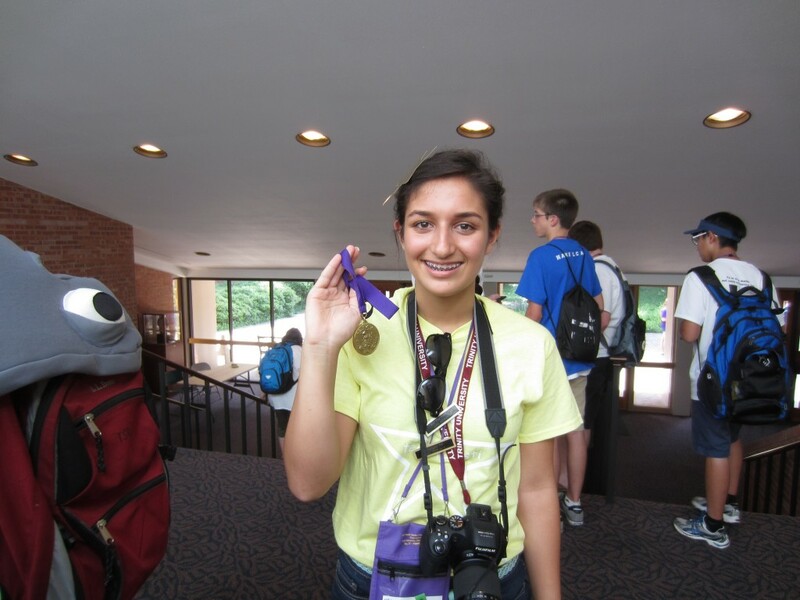 State Officer Sara Zandvakili (Indian Hill) won 1st place for her school’s Digital Scrapbook. 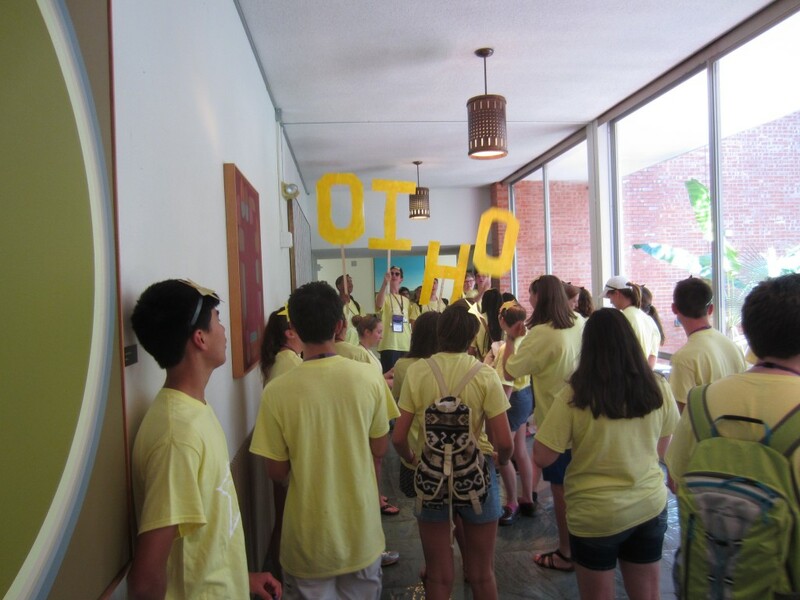 Former Historian Hannah Barrett (Shaker) won 2nd for State Digital Scrapbook. Julia with her well-deserved medals! Joseph from Summit recounted a mysterious rain of toothpicks at dinner. Tim from Granville again won Ludi Chess. Troy from Indian Hill did not make the cut for That’s Entertainment, but the SCL approached him about performing his magic at their banquet. 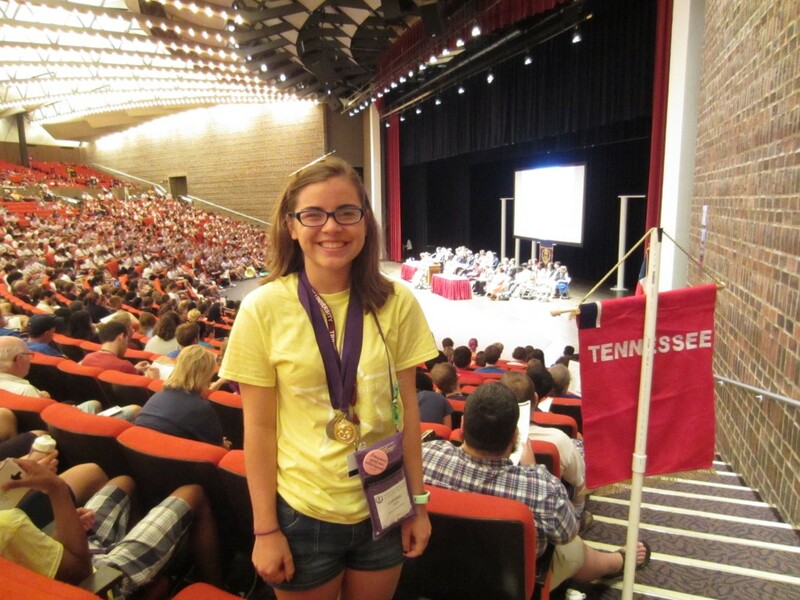 Lindsey from Turpin for the 1st time challenged a question on an academic test and felt empowered. Soren from St. Ed lamented the conflict between soccer and an academic test session. SCLer Maddie Briner (formerly of Wyoming) pointed out that there are always conflicts, that you just have to choose, that this conflict is just a metaphor for life. 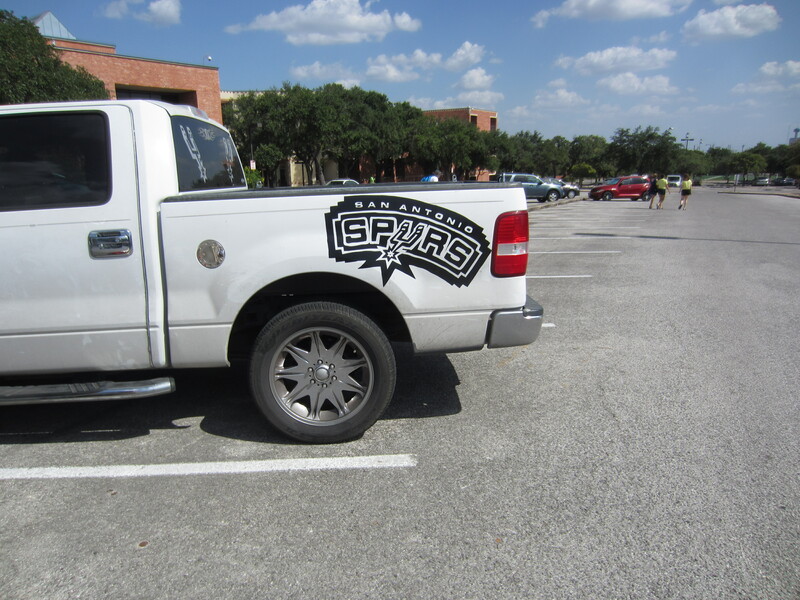 For my brother Eddie and nephew Pablo – Go Spurs! Kelly offers the stars above to all the OH delegation.